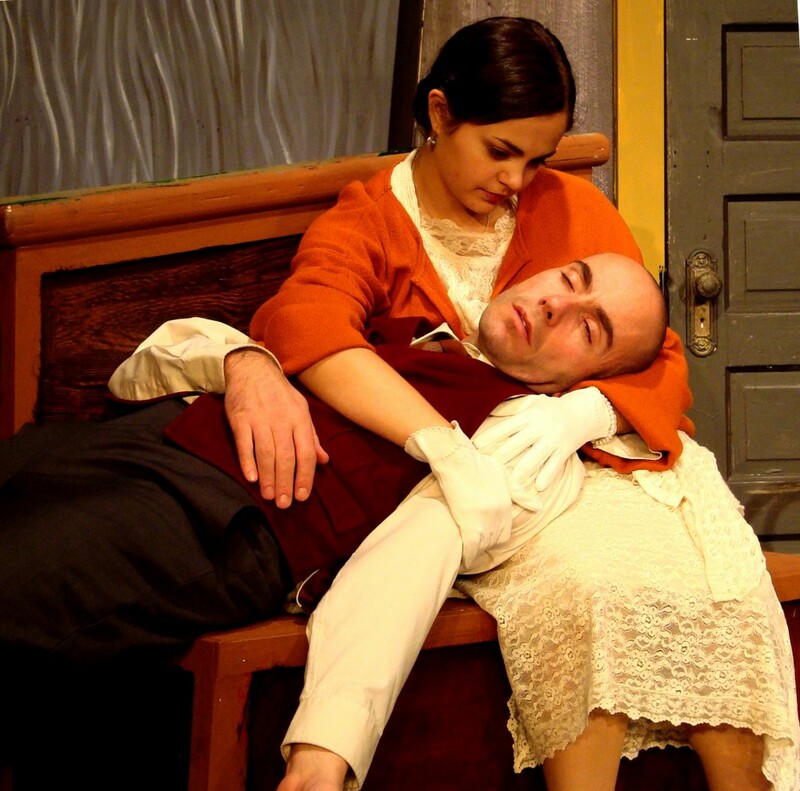 You are here: Home / Arts / Kafka the Musical by Murray Gold at Theatre Inconnu. A review. Kafka the Musical is a mad-cap, whirlwind, absurdist descent, into the delirious mind of one of the early 20th century’s most influential writers and thinkers, Franz Kafka. It was originally written in 2011 as a BBC radio play by Murray Gold, playwright, and compose for the BBC’s Dr. Who series. David Tennant, as Kafka, was named Best Actor at the inaugural BBC Audio Drama Awards in January 2012. 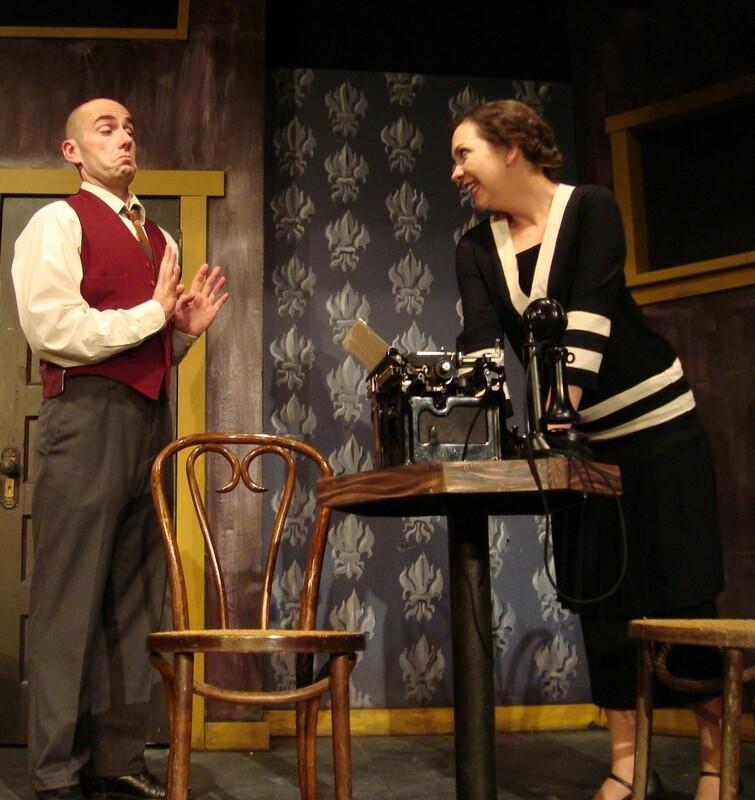 By unique and happy circumstances, the radio play came to the attention of Clayton Jevne and Graham McDonald of Theatre Inconnu, who were able to persuade Murray Gold to adapt it for the stage. Fortunate Victoria audiences can witness the results of this theatrical serendipity until December 16th at 1923 Fernwood Road (Little Fernwood Hall). Not unlike the situations described in his books, which gave rise to the term “Kafka-esque”, the setting of Kafka the Musical is askew and off kilter – a fact represented by the angled walls and doorways of the unique room pictured on stage. It transforms from study, to office, to bar, to theatre. Characters keep popping in and out of unexpected places – further adding to the sense of disorientation. Actor Premtim Plakolli, in the title role, bears a striking resemblance to Kafka – he’s thin, nervous, haunted and vulnerable. The cartoon-like acting in certain scenes is reminiscent of the artistic style of Robert Crumb (author of Fritz the Cat and Introducing Kafka, a definitive beginner’s illustrated edition) with hints of earlier commedia dell’arte or more modern absurdist conventions. “Tour-de-force” cannot begin to describe Plakolli’s performance; he’s onstage for most of the play’s two hours, and for much of this time, is wracked by the tubercular cough of a dying man. My insides hurt in sympathy. He portrays the nerve-wracking uncertainty of being completely out of control in your own life – at the mercy of outside elements that you cannot even begin to understand – perfectly. The effects are mind-bending and disorientating. More play than musical, Gold uses the first act to situate the audience, introducing us to Kafka’s loud and domineering father (Richard Patterson) and his more conciliatory and loving mother (Naomi Simpson). His lovers Dora (Jess Shead) and Felice (Holly Jonson) are, at this point, only mentioned. The premise – that Kafka has to play himself in a musical about his own life – begins to develop. Mysterious Herr Grossman, the famous producer, remains unseen and delegates to Milena (Melissa Blank) who quickly tries to snare Kafka with her charms. Blank as Milena is captivating and alluring. Kafka quickly succumbs to his desire. Parody and humour are evident in their love-making scene, and continue throughout, alternately with moments of truth, tenderness and even, horror. These shifts further serve to bewilder. What is true, what is imagined, what is dream, what is real? Is it heaven, or hell? Kafka the Musical captures the madness and hopelessness of the epoch – Weimar Germany – where prices rose as you waited in line for bread. Period costumes (Patricia Reilly) add a rich textural context and counter-point to the caricatural set by Robert Randall (who also produced the intricate poster for the show). It’s a constant puzzle in the small space of the theatre to fit in all the elements necessary to a production. Randall’s set succeeds admirably. Particularly note-worthy were the hidden low doorways (for surprising entrances and exits), and the masked windows which become highlighted for action offstage. In the second act, Gold introduces music, and the cast actually burst into song. The audience on opening night laughed and guffawed through many of the ensemble musical numbers. Choreography by Stephanie Geehan contains many of the classical elements of musical theatre style, which, paired with the anguished imaginings of Kafka, makes it even funnier. During one song these very proper ladies and gentlemen fall to the ground to execute a chorus number, on their backs, legs in the air. The effect is charming, and disconcerting. On the floor: Richard Patterson, Kyle Kusnir, Cam Culham, Jess Amy Shead, Naomi Simpson. Jess Shead (Dora) injects an element of realism. Her sweet nature helps us understand Kafka’s happiness and infatuation in the last years of his life. Their scenes together are incredibly bitter sweet. Cam Culham (the Doctor), sings, poignantly, as Kafka weakens, that we all wish for “just one more minute, one more hour” – it’s truly the crux of the piece. Will we matter after we are gone? Kafka had instructed his literary executor and friend Max Brod to burn his papers when he died. What would have become of Kafka’s legacy if he had complied? Musical director, Donna Williams provides violin accompaniment perched on high in a window overlooking the set, backed by piano tracks recorded by Mr Gold himself. Completing the cast are Holly Jonson (Felice) as the assistant director to Herr Grossman, and Kyle Kushnir and Matt Mathiason in multiple roles, including the mysterious henchmen who pursue Kafka for reasons unknown. Despite the weighty nature of the subject (Kafka is, after all, dying), Gold has created a universal and hopeful story, greatly informed by Kafka’s life and philosophies, and accessible to all, even those with limited knowledge of Kafka’s work. His themes resonate in all our lives. Clayton Jevne’s direction provides the necessary quirky touches while remaining true to the tragic nature of the underlying story. It’s a theatrical chiaroscuro masterpiece. 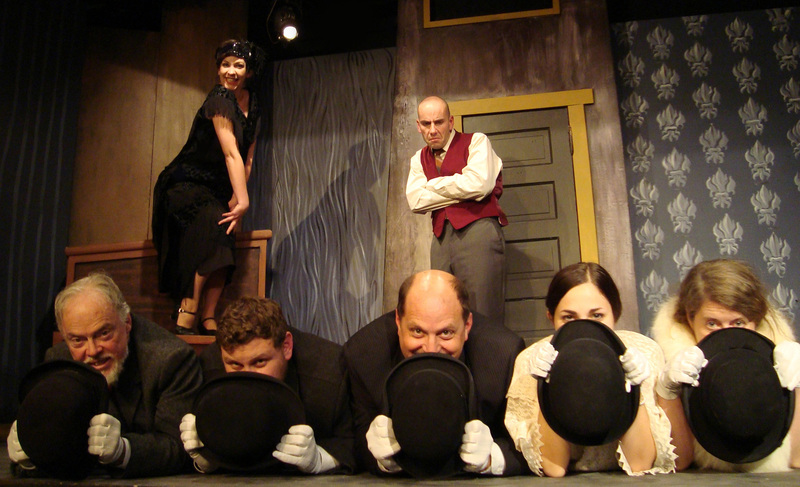 Venture forth to Theatre Inconnu for the wild adventure that is Kafka The Musical. 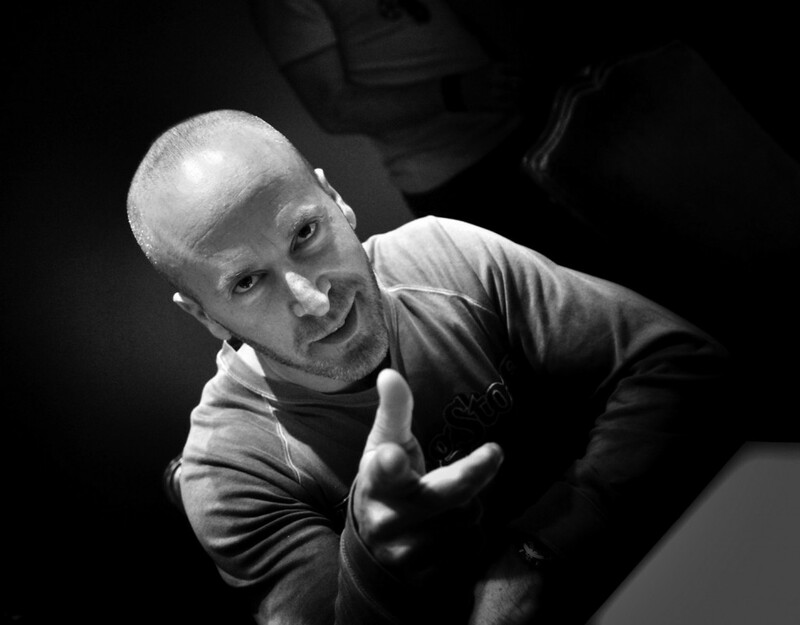 Artistic Director Clayton Jevne and team are to be lauded for their dedication to producing ground-breaking theatre. This show helps marks their 25th anniversary in style. Disclaimer: I am a season ticket holder at Theatre Inconnu, and paid to attend on Opening Night. As always, I retain complete editorial control over all the content on my blog.